After leaving Michael Mount our alumni go on to a wide range of things in various fields. We look forward to meeting you where you are. Let’s keep in touch. Receive the children in reverence, educate them in love, and send them forth in freedom. When I dream alone, it is just a dream. When we dream together, it is the beginning of reality. it is the Creation of Heaven on Earth. To facilitate dignified collaborations in which all parties feel seen, heard and valued. To raise funds to make the above possible. 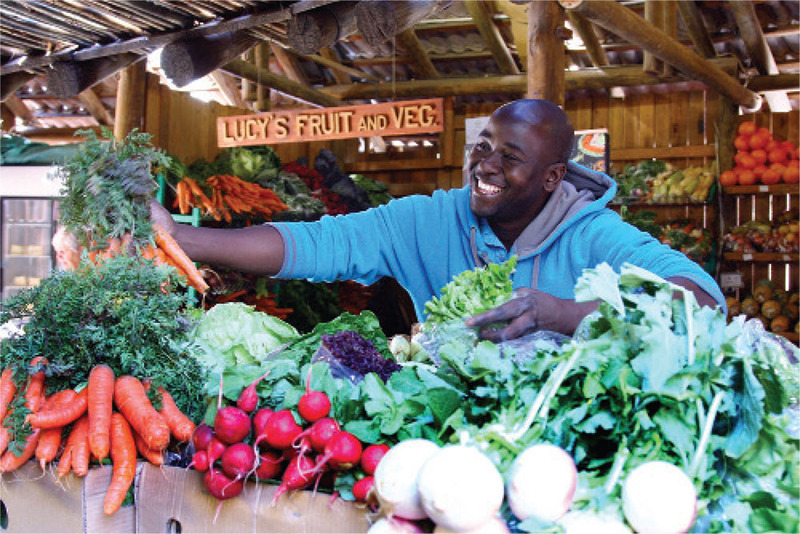 The Bryanston Organic & Natural Market has been operating from the Michael Mount Waldorf School campus, as a fundraiser for the school, since 1976. It started with parents selling fresh organic fruit and vegetables to each other and to passersby, from the back of their bakkies and trailers in the school’s parking lot. Word spread like wildfire. Soon the car park became too small and a ‘farm stall’ was allocated space on the property of the school. Over time, artists and crafters joined the market with their paintings, photographs, pottery, carvings, natural fibre clothing, wooden toys and more. With ongoing support from the school’s teachers and parents, the market soon became an ‘organic village market’ where friends would meet under a leafy canopy, eating yummy, wholesome things while listening to a local musician. 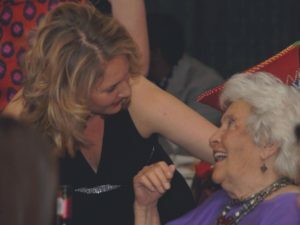 They would leave with fresh, organic produce, free-range eggs and meat, home-made cheeses, wholesome baked goods, prepared meals, natural skin-care products and one-of a kind gifts and decorations. 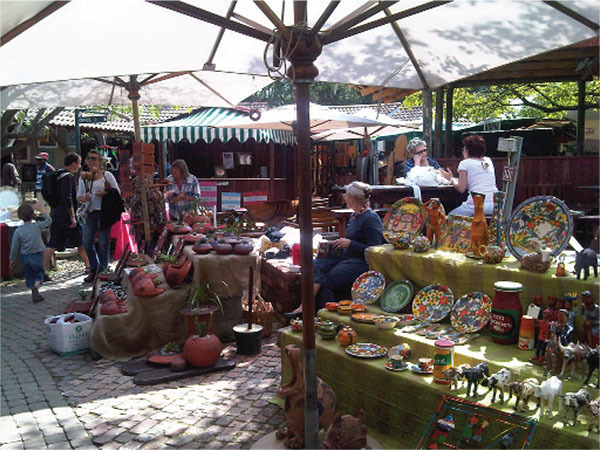 Today the Bryanston Organic & Natural Market is home to +-140 stallholders. It has become a leading light in the movement towards healthy, conscious living and eating, as it promotes products and activities and shares information that aid the healing of the earth and its people. Most items at the market are hand made locally from organic and natural materials. Fresh produce is organically grown in close proximity to the market, and delicatessen and bakery goods are either certified organic, or bear the market’s stamp of Natural Assurance, meaning that the products are free from artificial additives, preservatives and colourants. In addition to live music, visitors to the market are often entertained by free public talks on organic living and natural health and beauty. In this way, the market provides an holistic, supportive environment for farmers, artists, crafters and musicians to earn a living as they bring their gifts to the world. The Bryanston Organic & Natural Market is open every Thursday and Saturday, as well as most public holidays, from 9.00 am to 3.00 pm. Additionally, Moonlight Markets – open from 5 to 9 pm – are held every Tuesday evening from mid November until just before Christmas every year. 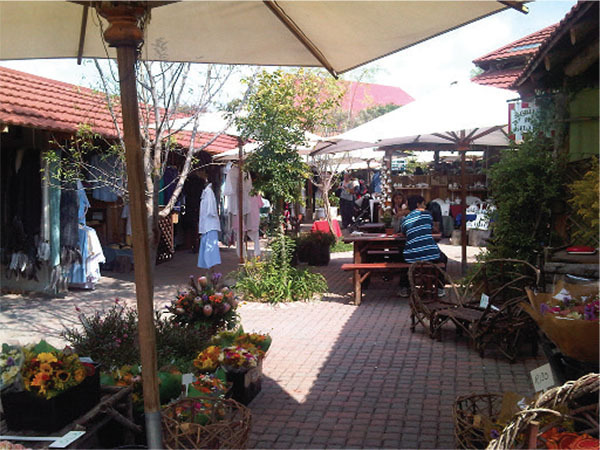 Entrance to the Bryanston Organic & Natural Market is at 40 Culross Road, Bryanston. Anthroposophy is a path of knowledge, to guide the Spiritual in the human being to the Spiritual in the universe. It arises in man as a need of the heart, of the life of feeling; and it can be be justified only inasmuch as it can satisfy this inner need. He alone can acknowledge anthroposophy who finds in it what he himself in his own inner life feels impelled to seek. Hence only they can be anthroposophists who feel certain questions on the nature of man and the universe as an elemental need of life, just as one feels hunger and thirst. – Rudolf Steiner. Anthroposophical Leading Thoughts, London: Rudolf Steiner Press, 1973. Rudolf Steiner founded the General Anthroposophical Society in 1924. He called his spiritual philosophy ‘anthroposophy’, meaning ‘wisdom of the human being’. Today there are many branches throughout the world. The aim of the Anthroposophical Society is to further the life of the soul – both in the individual and in society – based on knowledge and understanding of the Spiritual World. The Society offers public events, such as art exhibitions, classes, lectures, study and discussion groups and more, on topics of concern to humanity. Membership to the Society is open to anyone, without distinction of nationality, social standing, religious, scientific or artistic conviction. 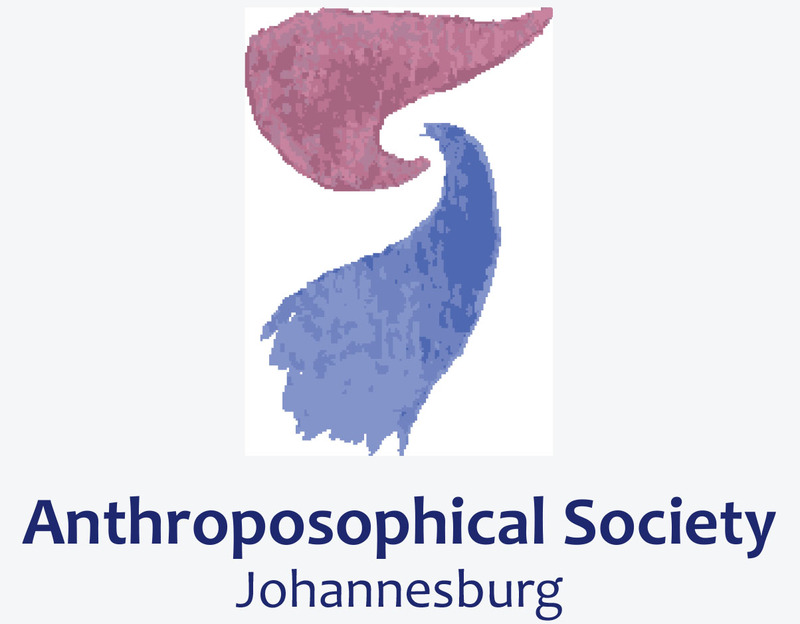 Download an application form at www.anthroposophysa.org.za You don’t have to be a member to attend events, though memberships make it possible for the society to offer its services to the community. For the study of Man, World and Spirit. 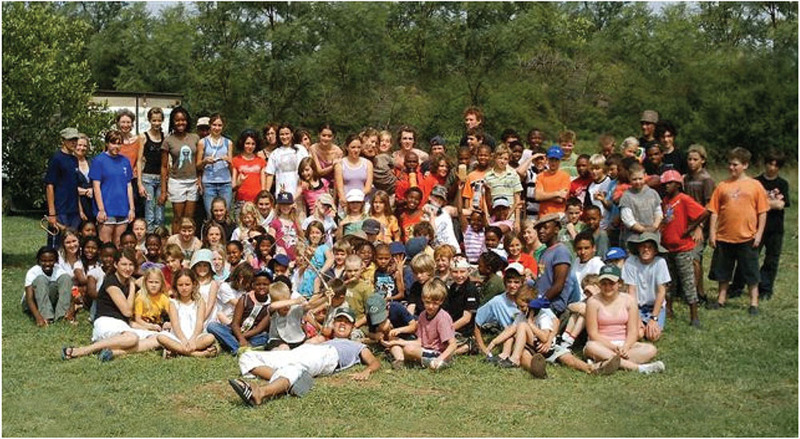 A two-week Christian Community camp for boys and girls from Class 1 to Class 7 during the December holidays. A Sunday service for school children. Christmas services on December 24 (at midnight) and two on December 25. The Community also offers all the usual services associated with a church. The Christian Community is situated at 46 Dover Street, Ferndale, Randburg.